High productivity, save time and cost, depending on customer needs, single-head or multi-processing options. 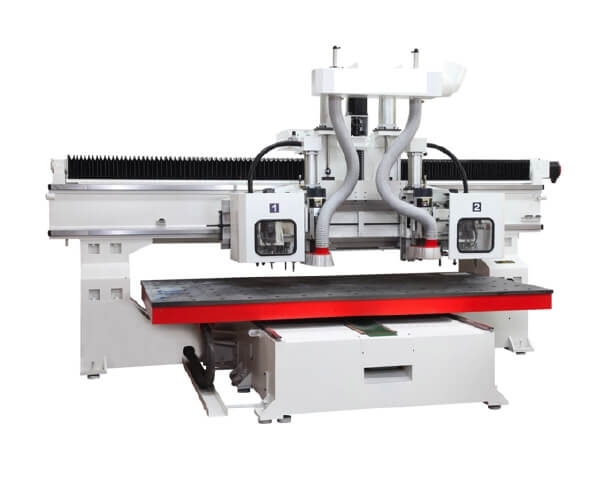 Sturdy design, stable operation of the machine to make the product high precision. Ball screw, with a linear slide, adjust the width of the rapid positioning accuracy. Speed 1,000 ~ 20,000 r.p.m. MAX. FEED SPEED X, Y Axes 32 M/min.